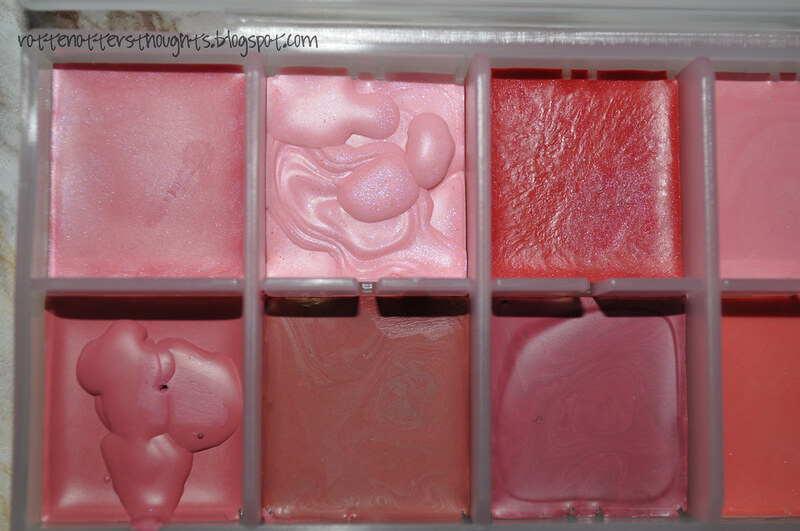 Over the past month or so a couple of my lip sticks snapped so I decided to make my own lip palette. I know people have used eyeshadow palettes and water colour boxes but I bought this pill box from Muji for £1.50 which is a bargain! 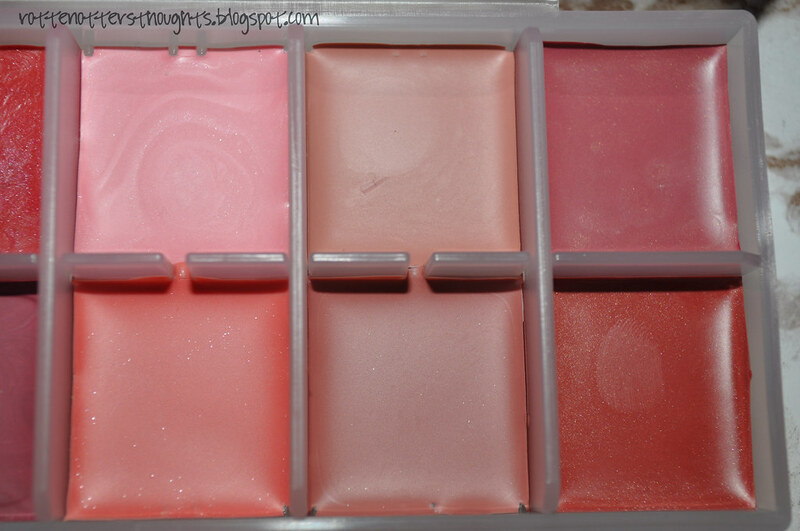 I wouldn't recommend getting it though if you want to use it as a lipstick palette. There are little gaps between the slots, which if you're not careful when pouring the lipstick, can mean a bit of a mess. I mastered a technique after the first two but it is a bit of a hassle and one that could be avoided by finding a box from somewhere else. As you can see two of them look a bit of a mess compared to the rest, that’s just because I didn’t melt all of the lipstick at the same time. Obviously once used the palette isn’t going to look as neat. For now I just have a piece of masking tape on the back with the lipstick names, this is just temporary until I find some nice labels or something like that. 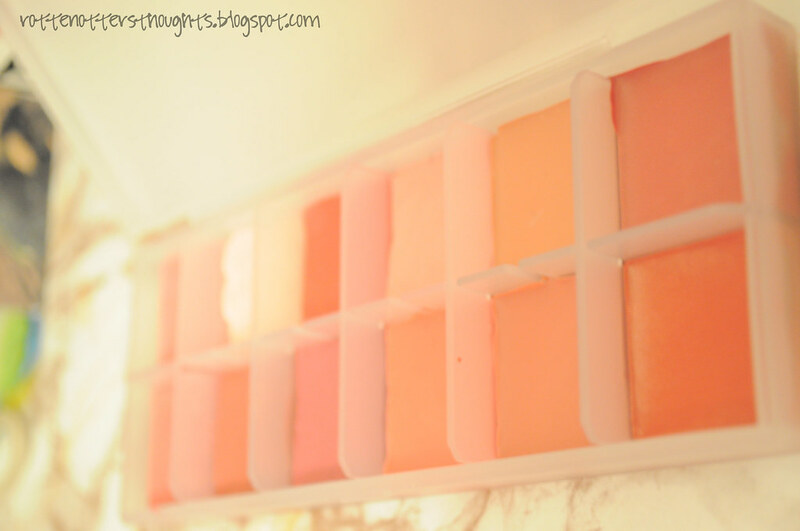 Have you made your own lip palette? Been thinking of doing one? Let me know! Wow, very organised - I'm impressed! I'd be too scared to melt my precious lipsticks down though! Yours looks really good! I've been thinking about having a go at this myself but all the pill boxes I've found have the days of the week printed on the top on the box. 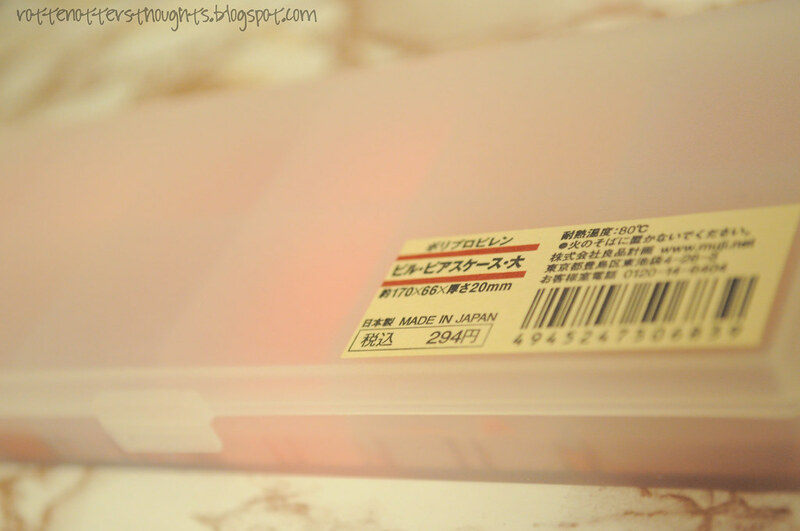 The Muji one looks like it's plain...and at £1.50 that's much cheaper than Boots etc. This is a really cool idea!